Cast iron teapots hold heat much longer than other materials! 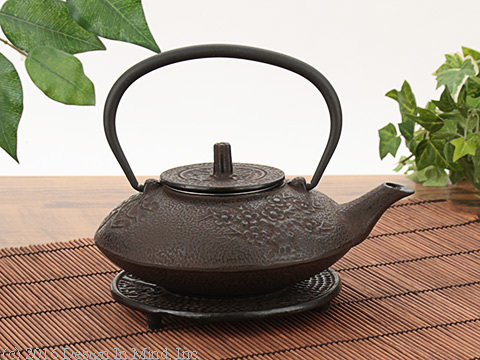 Tetsubin teapots, or cast iron teapots, come in many colors and sizes. Tetsubin teapots hold heat extremely well. Each Tetsubin teapot comes with a stainless mesh infuser. Sizes range from very small, 16 ounces, to large, 40 ounces. All are enameled inside to protect the iron. 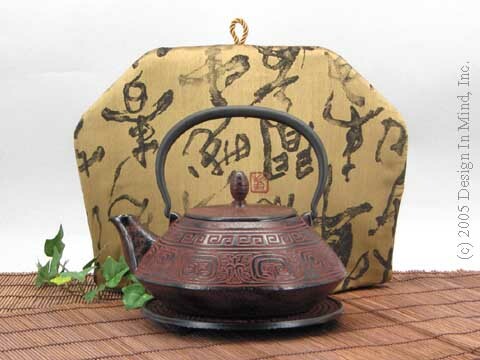 Tetsubin teapots are traditionally used to infuse a single tea multiple times. 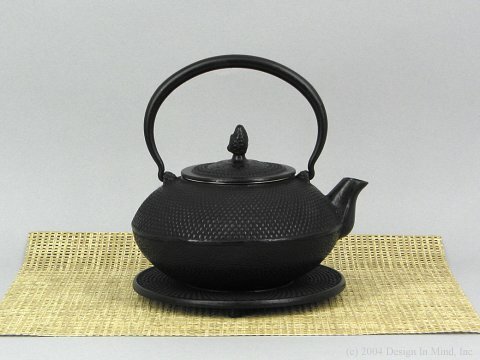 Most teapots come with a cast iron trivet. Cast iron set of 4 teacups. 2 oz. capacity. Black enameled interior with matte brown or black finish. Hand wash. Made in China. 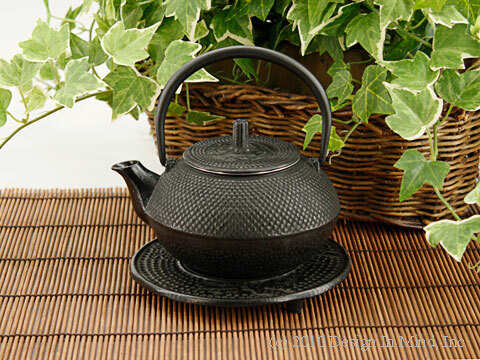 Wicker design cast iron teapot with metallic gold exterior and black enameled interior includes a stainless steel mesh infuser basket. Handle folds down. Holds 20 ounces. About 6 inches high (with handle up) and 6 inches wide. 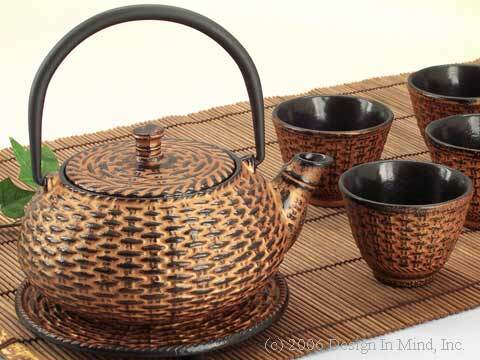 Set includes teapot, trivet and 4 matching cups. Made in China. Use a personal size Tea Quilt tea cozy. 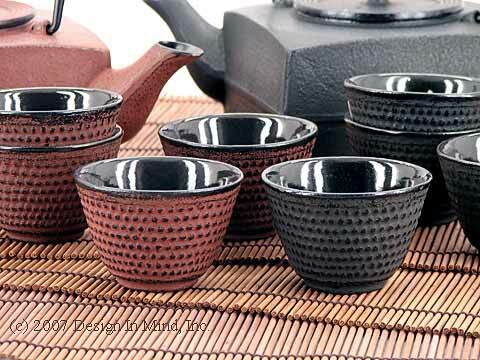 Tell me about cast iron teaware How do I care for my cast iron teaware? How do I check my order online?